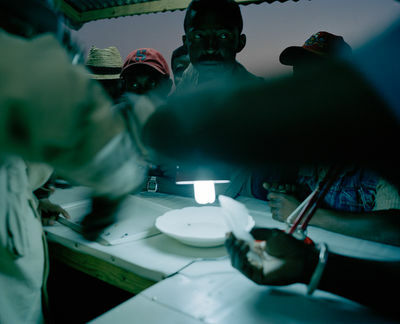 Sapphire miners in Ilakaka, South West Madagascar, earn a maximum wage of $1.75 per day. Most miners live below the World Banks poverty line of $1.00 per day. This Sri Lankan trading post is the first port of call for middlemen coming to Sakaraha and Ilakaka, South-West Madagascar, for Sapphire trade. The atmosphere is one of tense excitement as profits can be made or lost in seconds. If a price cannot be agreed on, then the middlemen can try their luck at other exportation sites in town. The Ministry of Mining and Energy conservatively estimates 10% of stones are exported legally. 16 years old Tsimanea, who has never been to school, is taking a cigarette break. 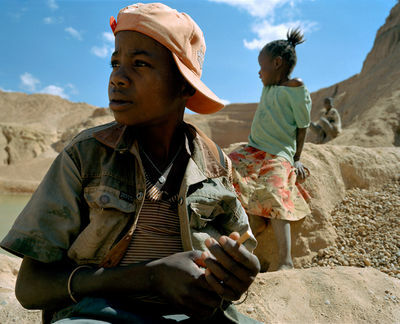 While children do not usually work in the digging, child labour is used throughout the mining process transporting and washing gravel, and doing odd jobs around the mines. Often parents want their children to go to school, but cannot afford the loss of income. 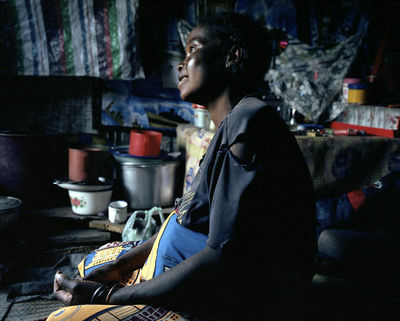 Batena is one of the women who work on the edges of Ilakaka's mining trade. Operating by herself, or with her 3 children, the sapphires she finds would make her wealthy beyond her dreams if she could sell them directly to the buyers in London and New York. But without the skills and technology to cut and polish the stones in Madagascar, or the contacts to export them, she makes just about enough money to feed her family. Antsioroa mine, near Tulear, where it would take days to drive to the nearest telephone, school or hospital. The isolation of the deposits draws prospectors. 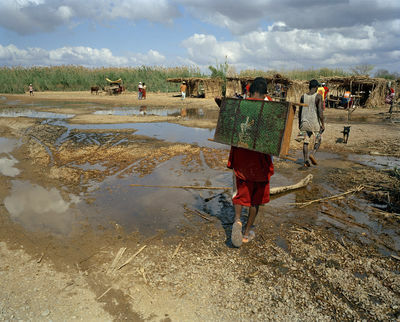 Shantytowns spring up on the banks of rivers, as whole communities migrate. For these people living outside official society, the sapphire trade offers the possibility that their children might escape the poverty they were born in. Sapphire mining family is going to church. Sapphire mining draws people away from traditional farming to dig. 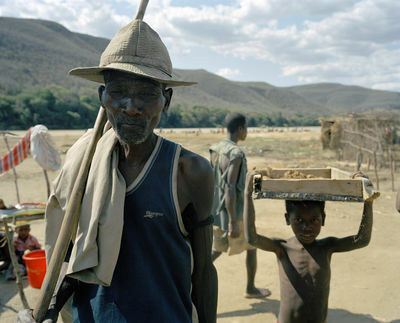 Many men leave villages to work in remote mines for a week at a time. In Ihazofotsy Village, women who do not accompany miners are left to work the land, take care of the kids, and get them to church on Sunday. 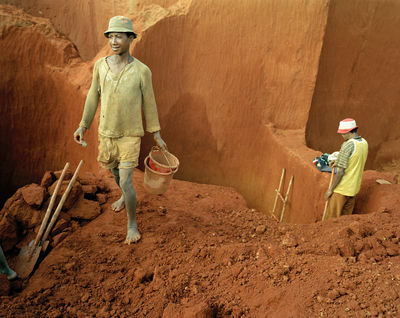 Miners in Fianarantsoa, Madagascar, dig for precious stones. A hole, 20 meters deep into the ground, is dug with iron spikes, shovels, and pure manpower. 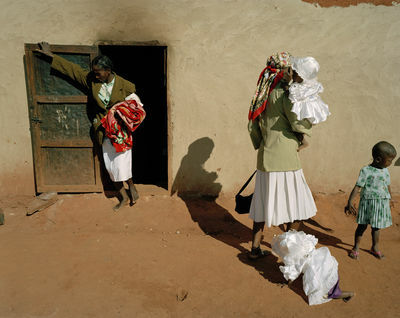 In remote communities small teams or societies operate without any infrastructure, ventilation or roof supports. Prosperette arrived to Ilakaka with her boyfriend, but after they broke up, she found out that her best option was working as a prostitute. She shares a wooden shack behind Ilakakas main drag with 4 other working girls. Old man and boy Sapphire miners. 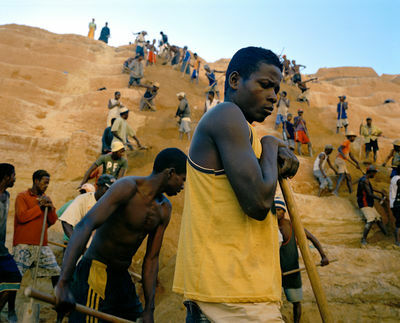 Bezaha, Tulear, in South West Madagascar- workers go down to the river to wash the gravel containing precious stones. Huts shelter traders from the sun. The green sieve is used to wash away dirt on gems. The stones are taken to trading centers, the biggest of which is the town of Ilakaka. At the heart of the Malagasy Sapphire trade, Ilakaka is a boom town, semi officially recognized by government, but populated by over 60,000 people, and home to all the major sapphire exporters. 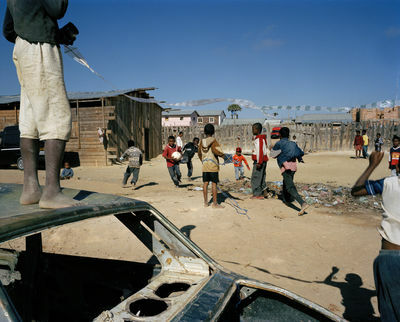 Children playing football on the street in Ilakaka, the center of the Sapphire trade. Sapphire trader near Bezaha, Toulear. 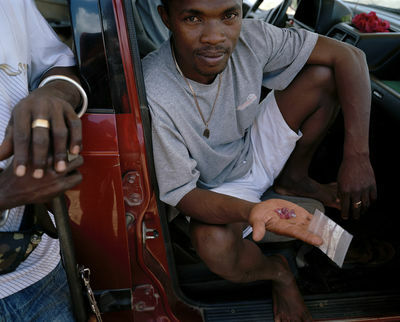 Stones are initially sold to Madagascan middlemen who employ shotgun-wielding security, for protection from bandits and mafia. Night club in Ilakaka which is the center of the Sapphire trade and with so much money floating around, people have traveled from across the country in search of their slice of Illakakas wealth. 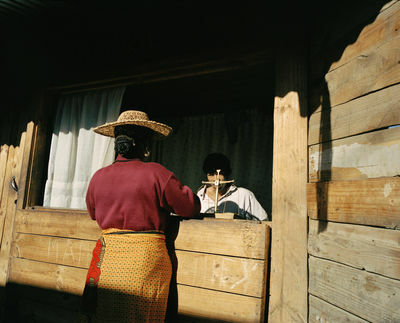 Many women come to Ilakaka and start working as prostitutes, hoping to find foreigners or middlemen in nightclubs. 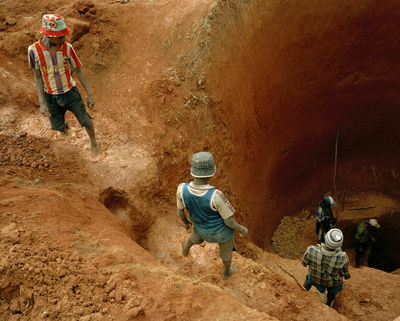 Antsioroa Sapphire mine, near Tulear, where a boy is panning for Sapphire. Madagascar is one of the poorest countries in the world, with over half of the population living below the World's Bank's poverty line of one dollar a day. The country is also estimated to have one of the largest gem stone deposits on the planet. 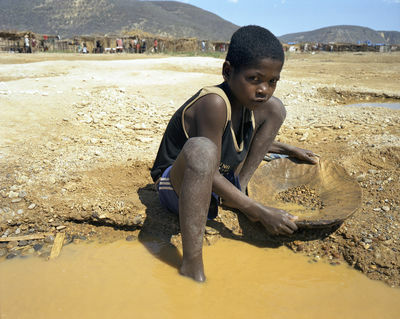 The Sapphire trade links the very poor Malagasy laborers to some of the richest people in the world. Stones bought to flaunt wealth come from a country without infrastructure, roads, healthcare, and education. 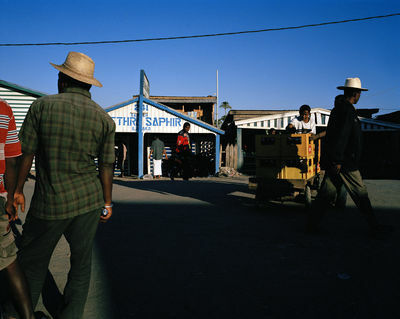 Traders come from all over the world to buy Shappire in Ilakaka, the center of the Sapphire trade. The worlds gem industry is based in Sri Lanka and Bangkok. Thai and Sri Lankans buy stones to export them.